When time and money hang in the balance, choose helpful experts, outstanding service and the finest scales and weighing equipment available anywhere. At Valley Scale Service, we take great pride in the fact that we are ISO/IEC 17025 Accredited. We are continuously audited by an outside company to ensure our paperwork, calibrations, installations and service work are performed to meet international standards. The Valley Scale Service family has been providing superior weighing services since 1965. 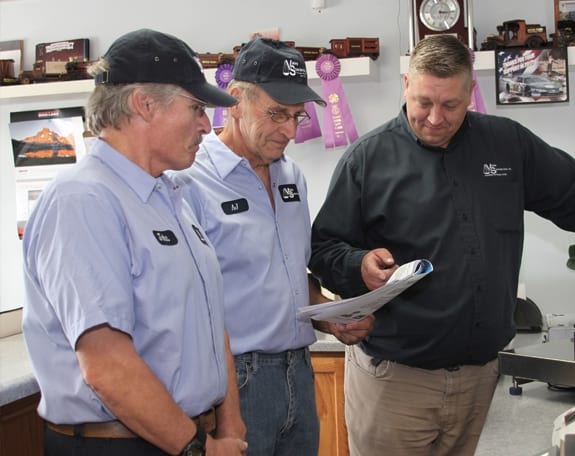 With more than 50 years of experience in Wisconsin and the Upper Peninsula of Michigan, we’ve established a track record of success and a reputation for outstanding products and services. Some of our customers have been with us from the start and have stayed with us, thanks in part to our prioritizing relationships and customer service along with an inventory of industry-leading products. Our customers value our experience and qualifications. From the longevity and expertise of our certified, factory-trained technicians to a sales force dedicated to providing you with the correct scale for your needs, you’ve got a partner who cares about and looks after your business’s bottom line. We’re proud to be ISO/IEC 10725 Accredited. We’re also State Certified in WI and MI, and our technicians receive Handbook 44 and extensive internal training. We offer continuous professional consultation to match your needs and budget, along with a service fleet that’s always at the ready to get to your location fast. Whether you need scheduled testing and maintenance, an unexpected service call, or emergency help 24/7/365, our scale repair, maintenance and calibration services are fast, experienced, reliable, and certified—and committed to serving you and your business. 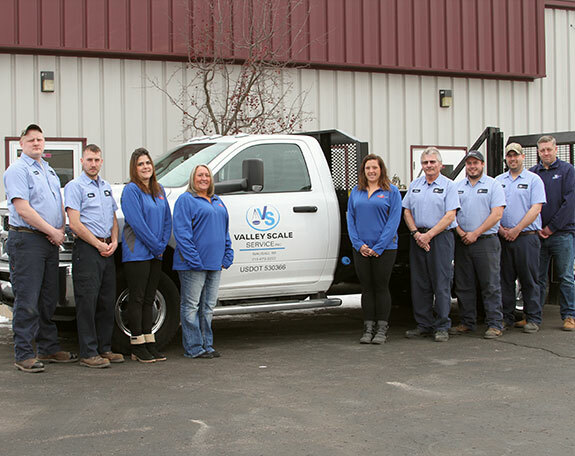 Valley Scale Service, Inc. was founded by Ralph Bliese in Wausau, Wisconsin in 1965 to serve industrial, retail and individual customers. 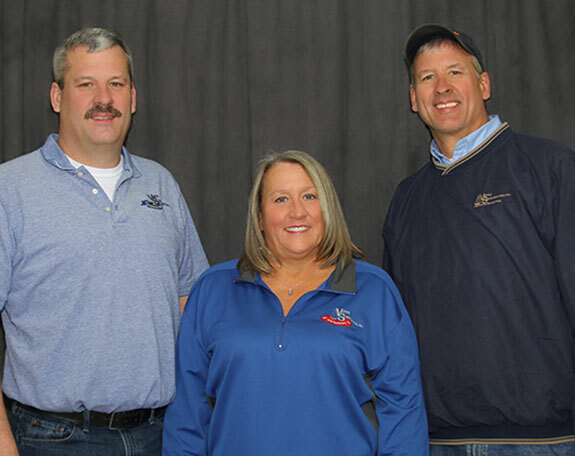 Three of Ralph’s seven children—Lori, Darrel and Kevin—worked in the company for decades, eventually taking over ownership in 2005. They continue to run it today. A third generation of the Bliese family currently works in the service and office administration sectors of the company. Growth has been steady over the years, with milestones that include the 1983 purchase of Toledo Scale of Green Bay, and the 1987 merger with the Thomas & Johnson Co. of Rice Lake, Wisconsin. Valley Scale Service became ISO 9001 Certified in 1999 and then ISO/IEC 10725 Certified in 2009. Many of our customers have been relying on Valley Scale Service, Inc. to perform their calibration needs since we first opened for business. Employee retention has been a hallmark of our company culture. (Most of our employees have been with us for more than 10 years. The average tenure of our 15 full-time technicians is 11.5 years, while our full-time sales staff averages 24.4 years of service! With their experience, along with their dedication and training, we feel our service is the best available in the markets we serve. We offer many service options and will customize a service agreement to fit your needs. Valley Scale Service, Inc. contracts an answering service to provide 24-hour emergency service to help keep your down time to a minimum. Give us a call, and experience our total dedication to finding the right weighing solution for you.